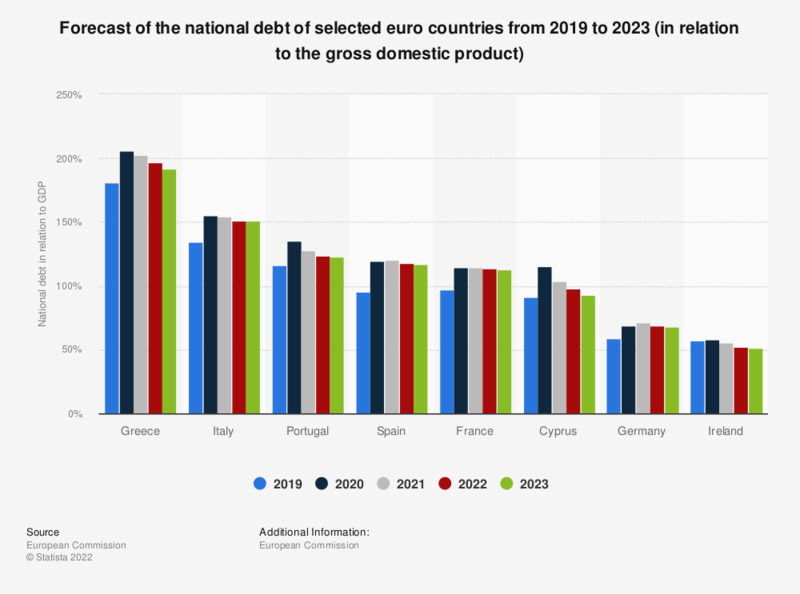 This statistic shows a forecast of the national debt of selected euro countries from 2018 to 2020 in relation to the gross domestic product (GDP). The national debt figures include the debt of the central state, the states, the communities and the parishes, as well as social security. In Greece, the national debt is estimated to amount 167.4 percent of the GDP in 2020.